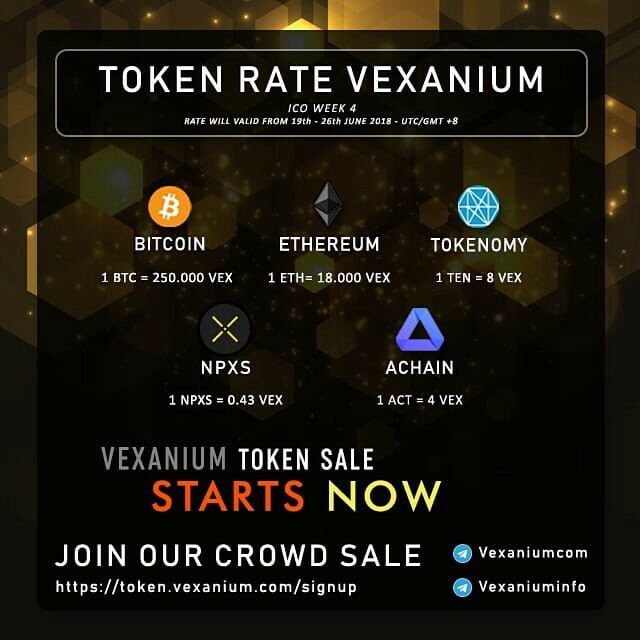 Vexanium (VEX) token sale (ICO) week 3 has started on 19th June 2018 at 14.00 GMT+7. Fill out the infomation such as your full name, e-mail, phone number, password, nationality, and referral code- if you have one. 3. Check “I’m Not A Robot” and “I Agree The Terms And Conditions” boxes. 4. Click “Sign Up” and you will receive a notification that says “Your registration was successful”. 5. And now you can login to your account. 6. Fill out the information for KYC: You full name, ID (KTP/Driving License/Passport), ETH/TEN address or BTC address. The address is the one from wallet/exchange that you want use it to purchase VEX. Make sure your full name is same as the one on your ID. 8. Click Dashboard menu to see the minimum amount required to purchase VEX. The amount of VEX that you will get: 1 ETH= 18,000 VEX, 1 ACT= 4 VEX, 1 BTC= 250,000 VEX, 1 TEN= 8 VEX. 10. Put the amount that you want to purchase. Make sure the amount you put there is no less than the minimum amount. 11. Then you can click “Submit”. 12. Send amount to the address you have. 13. There will be a TX ID as your transaction ID. 14. Click “Transaction” and then click “Confirm” your payment. 15. 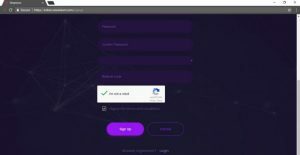 Put TX ID you get from the exchange /wallet and then click “Submit”. 16. 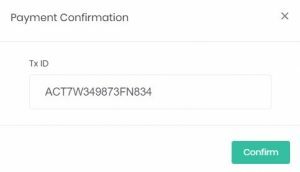 Once transaction is confirmed and then token will be distributed to your ACT address in your Kcash Wallet after our ICO 4 is finish.